WINCHENDON – Wayne C. Sidilau, 74, of 33 Baldwinville Road, died peacefully Sunday afternoon, March 24, 2019 in Wachusett Manor Nursing Home, Gardner with his family at his side. He was born in Leominster on November 13, 1944, son of the late Harold and Ruth (Dignard) Sidilau and graduated from Leominster Trade High School. 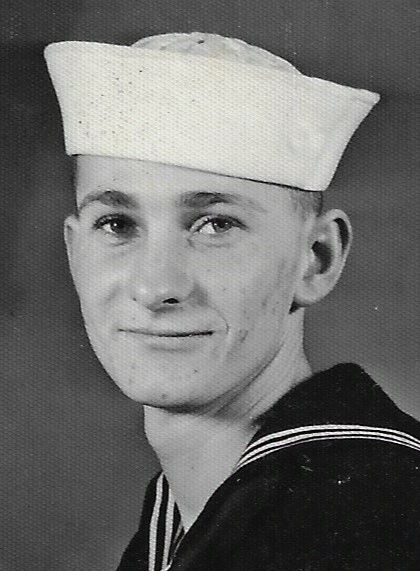 Following his graduation, Wayne enlisted in the United States Navy and proudly served his country during the Vietnam War. He earned the Navy Commendation Medal. Wayne lived in Winchendon for the last 25 years. He had worked as a construction worker and carpenter. A lover of the outdoors, he enjoyed fishing, had owned many exotic animals and enjoyed watching deer come in to his backyard. Wayne attended Immaculate Heart of Mary Church. He leaves a son, Wayne Sidilau of Fitchburg; sisters, Cynthia Buckley, Karen Linton and husband Larry, Pamela Marrama and husband Phil, Diane DiMaria and husband Frank, Marcia Harris and husband Kenneth, Maureen Harris and husband Richard and Sandra Marien and husband Robert, all of Leominster and Sheila Latorri and husband Nicholas of AZ; brothers, Bruce Sidilau and wife Pat of Leominster, Gerard Sidilau of Winchendon, Keith Sidilau and wife Joan of Orange and Kevin Sidilau of Leominster; a granddaughter, Shayna Sidilau of No. Carolina; a close family friend, Rhonda and her sons, Trevor and Nathan and many nieces and nephews. A brother in law, William Buckley, predeceased him. A Mass of Christian Burial will be held Friday, March 29, 2019 at 11:30 A.M. in Immaculate Heart of Mary Church, 52 Spruce Street, Winchendon. Burial, with military honors, will follow in Massachusetts Veterans’ Memorial Cemetery. Calling hours in Stone-Ladeau Funeral Home, 343 Central Street, Winchendon are Friday from 10 to 11 A.M. preceding the mass. Memorial donations may be made to Friends of Massachusetts Veterans’ Memorial Cemetery, 111 Glenallen Street, Winchendon, MA 01475.